Hey everyone! 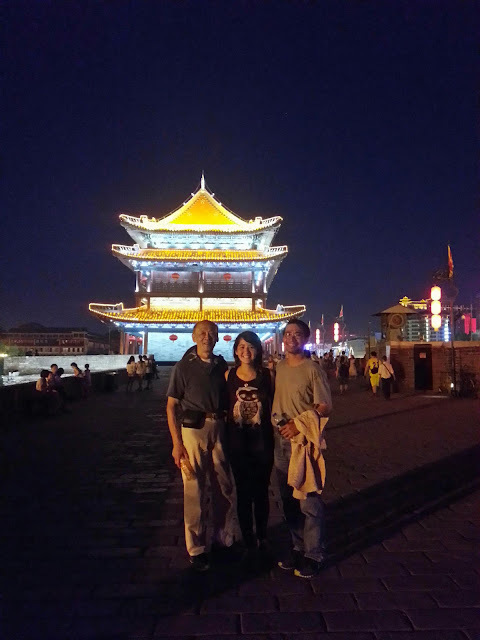 It’s me, and it has been 50 days since my semester ended and I’ve been on my incredible China backpacking journey. So, for those of you who haven’t been following my sudden increase in Instagram usage or Facebook upload mania, I’ve had some pretty good times these past weeks. So, where have I been exactly? Well, in the past 50 days, I have been to Shanghai (duh), Sanya, Changha, Zhangjiajie, Wulingyuan, Beijing, Suzhou, Hangzhou, Tianjin, Chengde, Xian, Chengdu, JiuZhaiGou, Zhengzhou, Kaifeng, Dungfeng, Guangzhou, and HongKong. Yup, that’s 17 cities in a little over 7 weeks! How have I gotten to all of these places, you might ask. I’ve flown, taken trains that have lasted between 1 hour to 23 hours, had first class sleepers, hard sleepers, seat sleepers, and standing train tickets, taken more buses than I can count, a ferry in HongKong, cable car in Zhangjiajie, biked in Hangzhou, and LOTS and LOTS and LOTS of walking. I’ve stayed in hostels that rock and hotels that kinda creepy, fancy hotels in Chengdu, a hot springs resort in Beijing, budget hotels, and on a couple overnight trains. I’ve met people from America, Chile, Britain, Canada, Korea, Japan, and more. I’ve hiked mountains, swam at beaches, relaxed in hot springs, seen some of the biggest cities in the world, wandered through a red rock canyon, visited caves, jogged the highest peak in Hong Kong, relaxed near the lake in Hangzhou, and visited a 30,000-student KungFu school. I’ve learned about ancient Chinese history (thanks Uncle James! ), and lived some of it myself. I witnessed a protest in HongKong, walked the streets of ancient Chinese emporers, and interacted with Tibetian people in Sichuan (and fell in love with their Sky Beads!). Right now Im sitting on the 10th floor of ChungKing Mansion in my HongKong hostel. And wow, had it been an awesome journey getting here. If you asked me a few years ago–or even a few months ago–if I would ever do any of these things, I’d probably laugh at you. Or, if I didn’t, there’s no way I thought I’d do this all before I turned 20. I am so incredibly grateful for all of these experiences and everything that I have learned along the way. Shout out to my awesome boyfriend JB for putting up with my budget-craze and being my travel buddy for 3 weeks, and to my amazing family Aunt Florence, Uncle James, Giang, Gloria, Nicolas, and Elena for inviting me along their trip! I love you all and am so happy to have so many great memories with you! Tomorrow is my last full day in HongKong, and Wednesday I will be leaving for a week in Taiwan. Wish me luck everyone! Go Sarahann! Anda sangat inspirasi! Hati-hati dan menikmati!